Amtrak reservations like this can be made at any Amtrak Station (we used the Fullerton, CA, Station), or call 1-800-USA-RAIL. You will first hear "Julie" an automated agent. As soon as you can, say "Agent" and talk to a live person about your trip and accommodations. *One person received the 15% Senior Discount, and the second person received the 10% AAA Discount. 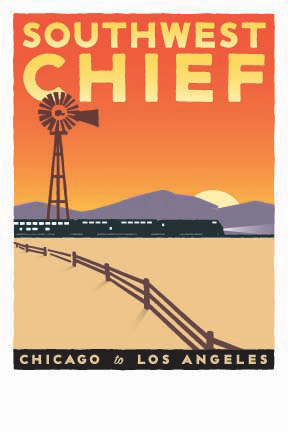 • Train 4 FUL-Raton, NM, was $85.00 Rail Faire plus $183.00 for the Roomette (Including diner meals). Thruway Bus from Raton, NM, to Denver, CO, is included in the above price. • Train, coach, Denver to Glenwood Springs, CO, $37.40. 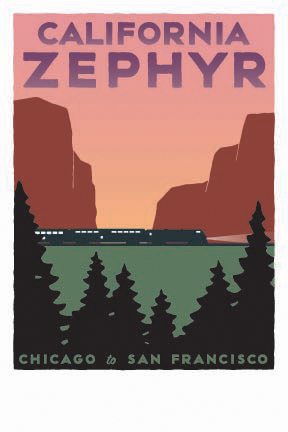 • Train, Glenwood Springs, CO, to Sacramento, CA, Rail Faire $75.65, Bedroom $299.00 (Including diner meals). • Train, Sacramento to Los Angeles, CA, Rail Faire $48.45, Roomette $147.00 (Including diner meals. Morning coffee and pastries and afternoon wine tasting with cheese and crachers in the Pacific Parlour Car). • Train, coach, Los Angeles to Fullerton, CA, included in the Rail Faire above. The second adult, with a 10% AAA discount, only has to pay the Rail Faire portion of $303.30.